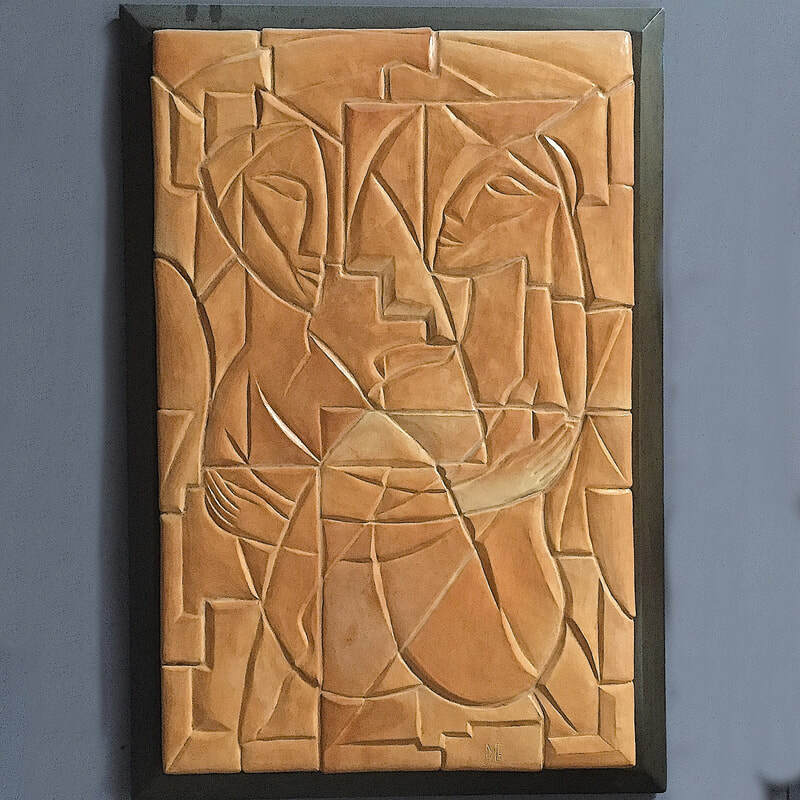 “City of love” 50 1/2 inches high by 34 1/2 inches wide with the frame,46 inches high by 30 inches wide without the frame, thickness vary from 1 1/2 inches to 2 inches. 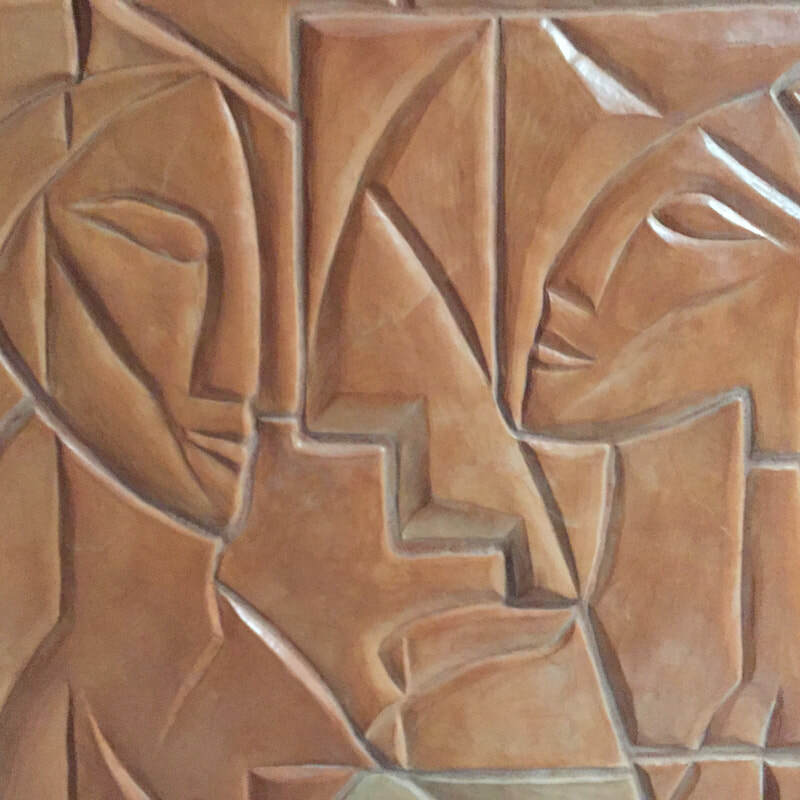 This relief sculpture was created with clay, fired in a gas kiln and then put together and grouted so that it appears as one piece. 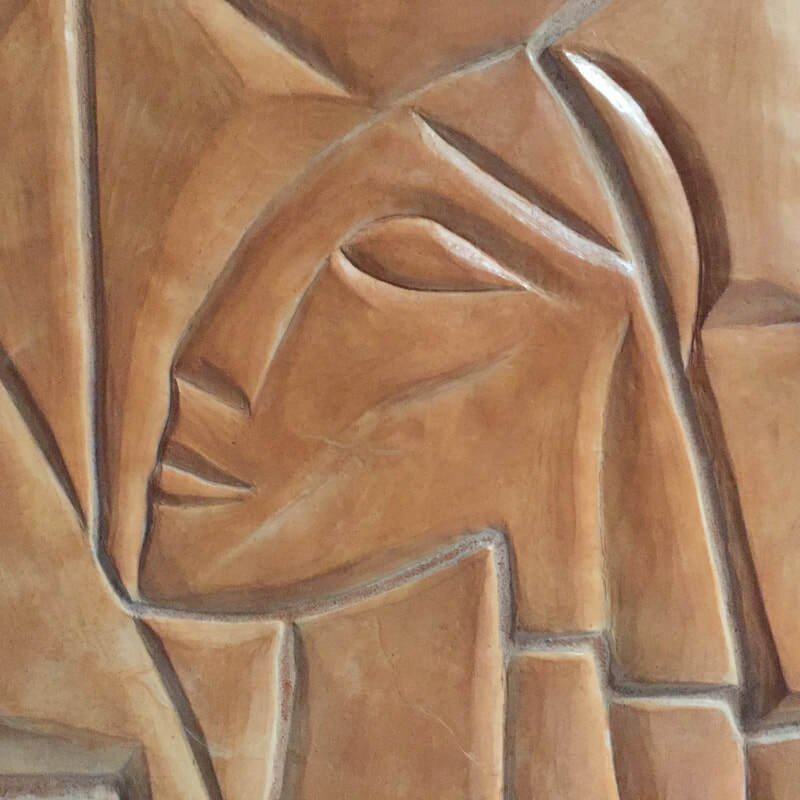 The color is The natural color of the clay with subtle variations of tones produced from exposure to the flames in the kiln. It has a thick redwood frame with a patina of dark bronze with hints of turquoise coming through. Price $9000.Free shipping in the continental US. Ready to ship.